During thanksgiving one of my favorite side dishes to make is candied yams because it tastes so good and it is super easy to make. The first thing you have to do is bake your yams. So preheat the oven to 400 degrees F. Take a fork and poke holes all over the yams, this will let the steam out of the yams when they bake. 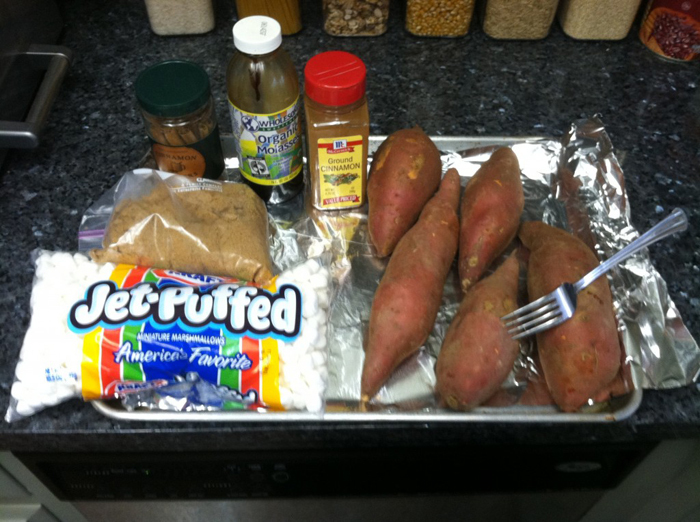 Place the yams on your baking sheet that is covered in foil (the foil makes cleanup easy). 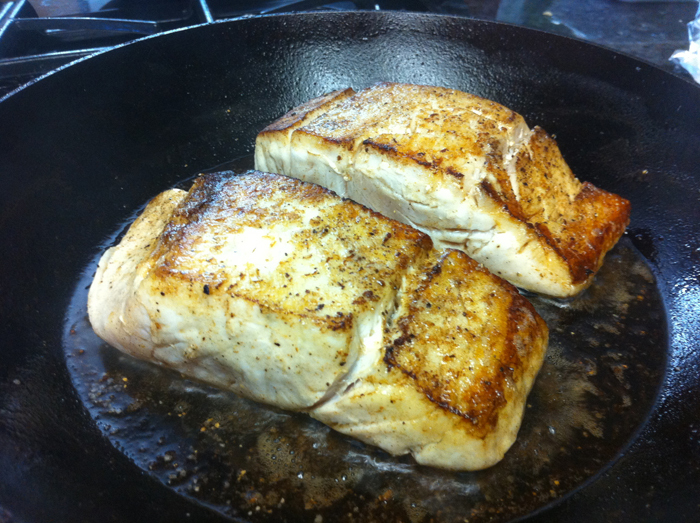 Bake the yams for one hour or until soft (45 min – 1 hr depending on the size of your yams). Once the yams are done baking let them rest for at least 15 minutes until cool enough to handle. Use a knife and split the yam open in half (length wise) then use a spoon to scoop out the center of the yams into a mixing bowl. 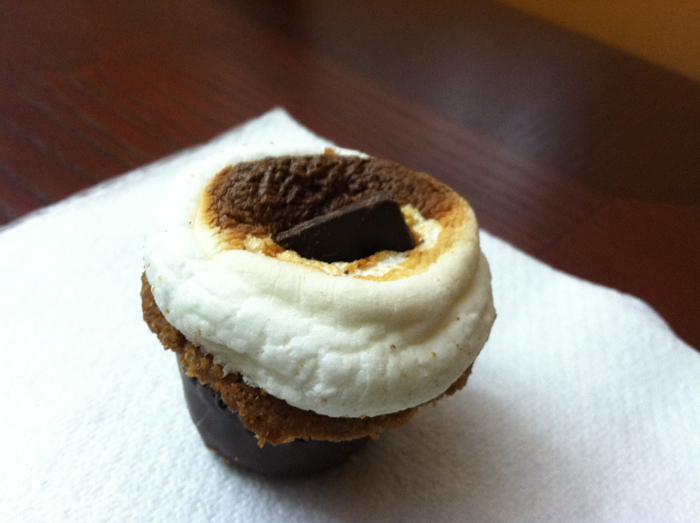 While the yams are still hot add all of the remaining ingredients except for the marshmallows. Use the mixing paddle and mix everything together. Make sure to start your mixer on the slowest setting until all the dry ingredients are mixed in with the wet ingredients. 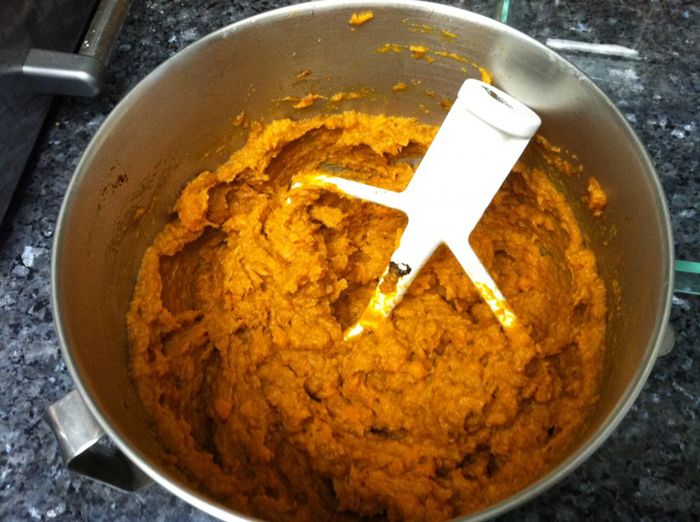 Kick up the mixer to medium until the candied yams is the texture of chunky mashed potatoes. 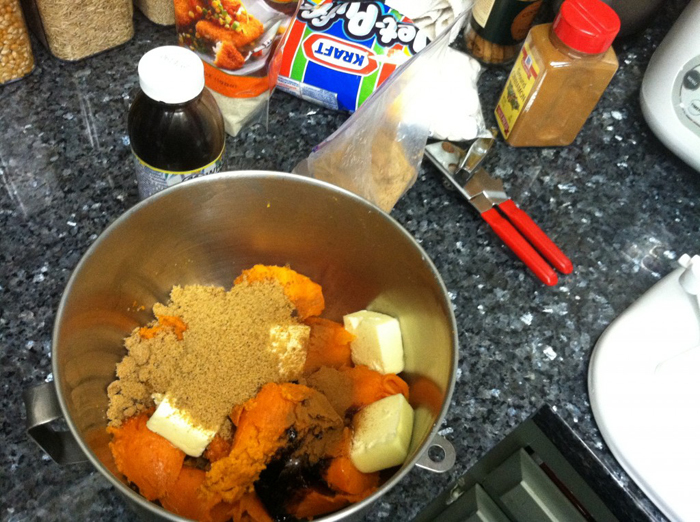 Use some cooking oil and lubricate the Pyrex baking pan then pour in the candied yam mixture. Use a spatula and spread the mixture evenly then cover it all with the mini marshmallows. Set the oven at 350 degrees F and bake the candied yams for roughly 20 minutes (until the marshmallows start to brown). Your candied yams should look like this when you pull it out. If you like your candied yams on the sweeter side then you can either add more brown sugar or you can add a second layer of marshmallows. 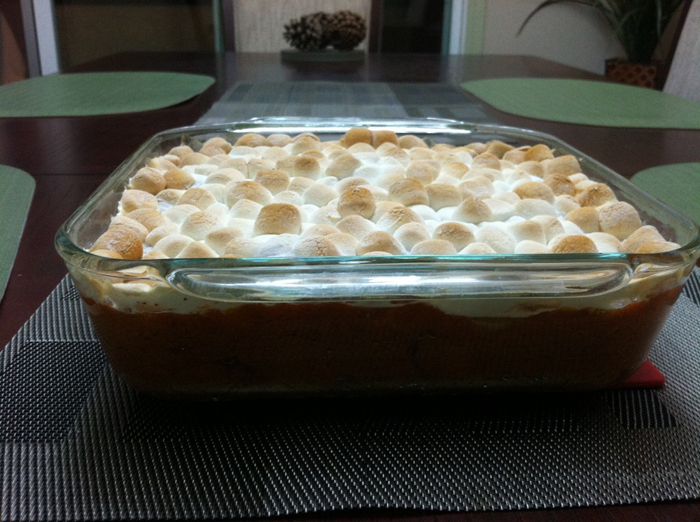 To do that just add half of the candied yams to the pan and spread it out then add a thin layer of marshmallows. 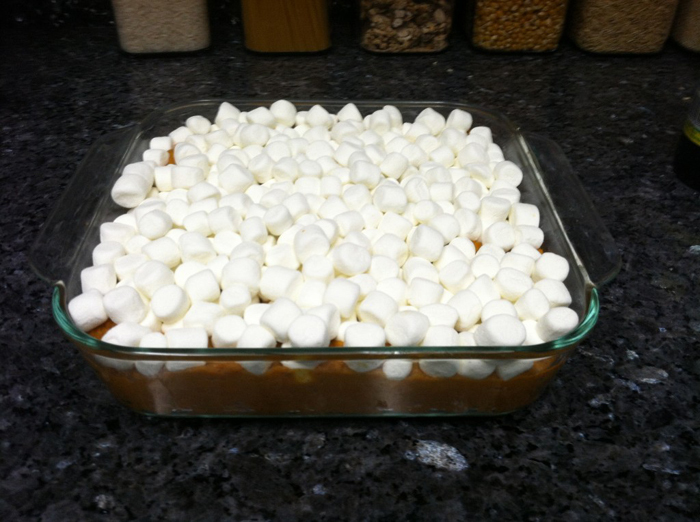 Then add the second layer of candied yams then cover it with the final layer of marshmallows. Personally I like it semi sweet but not so sweet that it ends up being a dessert.